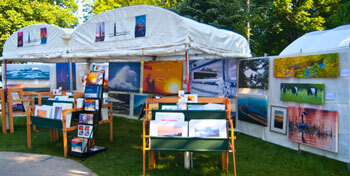 Ludington's West Shore Art Fair is truly not to be missed! West Shore Art Fair has recently been rated by Sunshine Artist Magazine in the magazine's annual 200 Best List. Out of thousands of fairs in the nation, West Shore Art Fair commanded an impressive rank as 94 in the Fine Art and Design category. 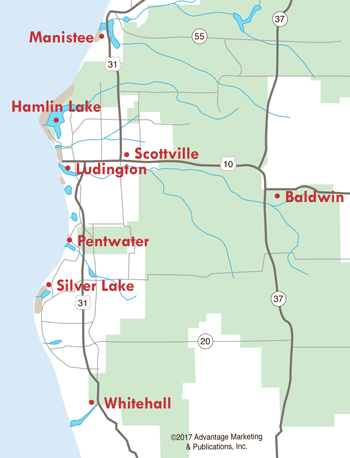 This recognition is just one more reason to put a trip to Ludington on your July bucket list. 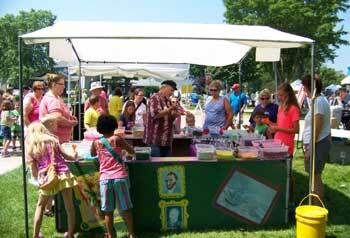 The 2019 West Shore Art Fair will be held Saturday, July 6 and Sunday, July 7. The West Shore Art Fair is sponsored by the Ludington Area Center for the Arts and is a juried fine arts and crafts show...which means a more stringent criteria is used and only the highest-quality artists are admitted. In 2016, juried artists were accepted to display paintings, photography, jewelry, clay, glass, fiber and wood, and many other varieties of fine art. In addition to the artists' exhibit booths, the fair features live musical performances, food stations and a children's activity area and location where children can purchase art for just $5. The Art Fair is open Saturday 10am-5pm and Sunday 10am-4pm. 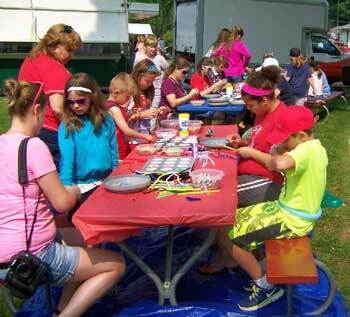 Learn more about other arts & crafts fairs in Ludington here.